SEATTLE – The Seahawks on Friday signed kicker Sam Ficken to a reserve/futures deal, a spot of potential need in 2019 with the future of veteran Sebastian Janikowski uncertain. The 40-year-old Janikowski handled Seattle’s place-kicking duties in 2018 but will be an unrestricted free agent in March. Janikowski battled some health issues this season as well as some inconsistency. It was thought the Seahawks would pursue some other options heading into 2019. That is the case, as the signing of Ficken shows. A reserve/futures contract means he becomes an official part of the team’s 90-man roster when the new league year begins March 13. Ficken, 26, attended Penn State and has been on the rosters of the Jacksonville Jaguars, Kansas City Chiefs and Los Angeles Rams since entering the league as an undrafted free agent in 2016. He has appeared in four regular-season games over the past two seasons – with the Rams as an injury replacement for Greg Zuerlein, and in Los Angeles’ playoff loss last season to Atlanta. He is 3 of 6 on field goals and 14 of 15 on extra points in the regular season, and 1 of 1 on PATs and 2 of 2 on field goals in the playoffs. 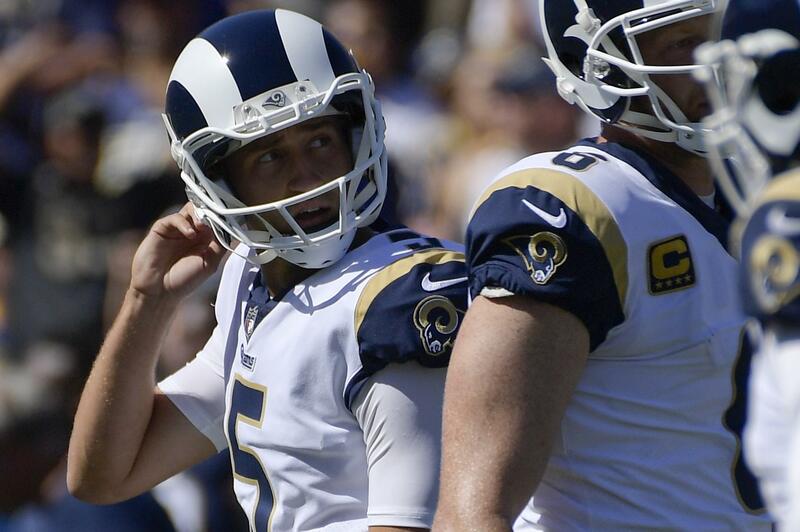 Ficken was cut by the Rams on Oct. 3 – a few days before Los Angeles played at Seattle, a game in which Cairo Santos kicked for the Rams – making him an immediate free agent and available to be signed. Seattle is likely to bring in another kicker for competition as it did last season when Seattle signed Jason Myers in January and then signed Janikowski in April. Janikowski won the job and was 22 of 27 on field goals and 48 of 51 on PATs. But he suffered two injuries in the final three games, hurting his back on a field-goal attempt against Kansas City when he was roughed and fell hard, and then injuring his hamstring on a 57-yard attempt against Dallas in the wild-card playoff game Jan. 5. The Seahawks could be on their fourth kicker in four years after Stephen Hauschka left after the 2016 season as a free agent, signing with Buffalo. Blair Walsh kicked in 2017 on a one-year deal but was not re-signed after crucial misses proved costly in three close Seattle defeats. Seahawks coach Pete Carroll said the team’s special teams would be closely evaluated in the offseason after some shaky moments as the season wore on. Ficken was second-team All-Big Ten at Penn State in 2014 and set a school record with 15 straight field goals made in the 2012-13 seasons. Carroll said Monday that Janikowski – who played in 2018 on a one-year, $2.015 million contract – might avoid surgery, but that his injury was serious. Published: Jan. 12, 2019, 2:52 p.m. Updated: Jan. 12, 2019, 7:28 p.m.